Known for his award-winning restaurants in Modena, Massimo Bottura is a Michelin 3-star chef that continues to wow diners with his creative spin on traditional Italian dishes. Thanks to Bottura’s ingenious skill and love of quality ingredients, his restaurant, Osteria Francescana, is continuously touted as one of the best in the world. 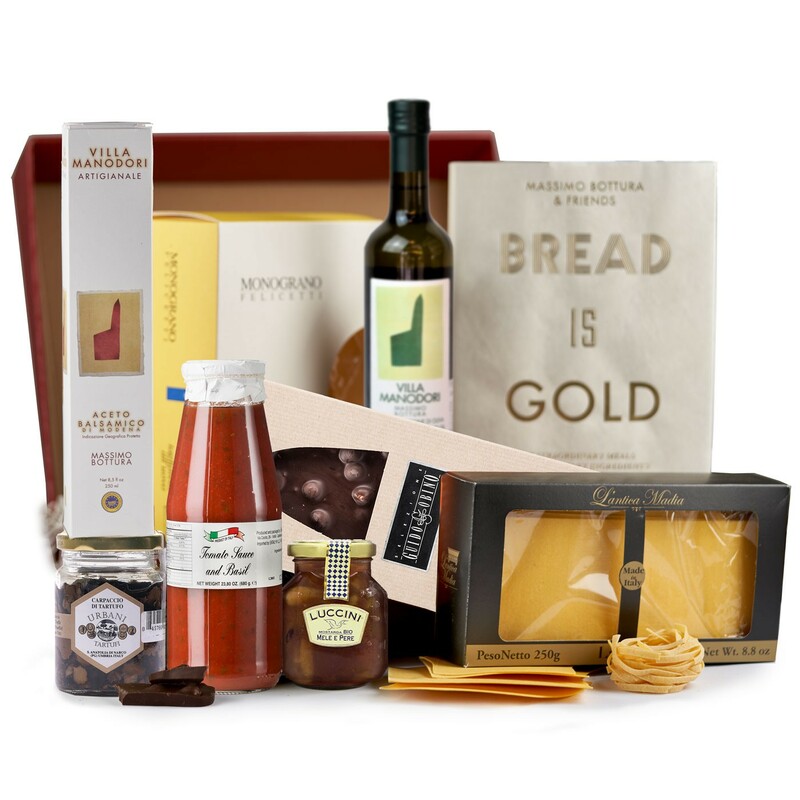 This one-of-a-kind gift box compiles all of Bottura’s favorites to the delight of any fan or aspiring chef. Antica Madia's Lasagna Egg Pasta (8.8 oz), Guido Gobino's Mini Dark Chocolate Bars (10.6 oz), Riolfi's Tomato Passata with Basil (24 oz), Luccini's Apple & Pear Mostarda (8.5 oz), Monograno Felicetti's Matt Tagliatelle Pasta (17.6 oz), Phaidon Press' Bread is Gold Book, Urbani's Shaved Black Truffle Carpaccio (6.3 oz), Villa Manodori's Artisinal Balsamic Vinegar (8.5 oz) and Villa Manodori's Extra Virgin Olive Oil (16.9 oz).